Christ the King was built for $220,000.00 in 1957. In today’s money, that’s about $1,872,000. The pews are limed oak. The interior statuary is lime wood. The crucifix wall of the original church was a screen (the sacristy was elsewhere) that opened to the hall for overflow. The original color of the roof was blue. The original theme of the building was God, the Three in One and One in Three, so the building was all circles and triangles. The main lighting for the space came from the crown of the roof, which was originally a plastiglass cap. The parish opened with 400 families. Today we have 640 registered families. 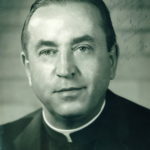 Father Clement Firko served as founding pastor of Christ the King. Born in Trenton, New Jersey, Fr. 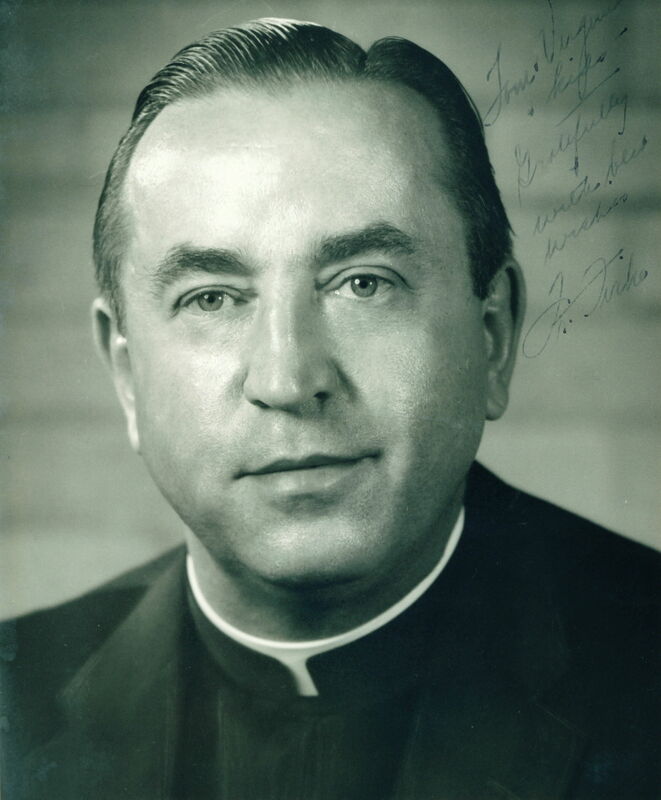 Firko went to college among his native Bohemians at St. Procopius in Lisle, Illinois, and studied Theology at St. Mary’s Seminary, Cleveland. Ordained a priest of Cleveland in 1940, he came to the Diocese of Pueblo in 1944. He served in parishes at Holly, Ouray and St. Anthony’s, Pueblo, before Bishop Joseph Clement Willging named him Pastor of Christ the King July 15, 1956. He was about 40 years of age. Fr. Firko went about building Christ the King with stout commitment. Ground-breaking ceremonies for the new church and hall were one month after his appointment. The cement for the rectory basement was poured within a week of the church ground-breaking. Fr. Firko was the general contractor for the construction of the church and rectory (today’s office), recruiting as many parishioners as possible, individually and their businesses, to assist with construction. At the same time, Fr. Firko said 3 Masses on Sundays for the community at the old Eden School, organized the parish’s first choir and conducted ordinary pastoral care for the parish’s 150 families. Parishioners remember mice running across the floor during Masses in the school. Coffee and doughnuts, unusual in this day, began in July of 1957 so people might get better acquainted. For its time, the new Christ the King church building had the newest of everything — cry room, air conditioning, over 9000 feet of steel pipe in the floors for radiant heat, hearing aids for the hearing impaired and sky lights at the roof’s peak. It was built to comfortably seat 460 parishioners, 30 in the cry room and 50 in the choir loft. The rectory was built to house 3 priests and a housekeeper. The first Mass in the new structure was celebrated March 31, 1957, in what was to become the parish hall. Newspaper reports tell of over 100 parishioners being pressed into service to get the building ready for Holy Thursday services April 18, 1957. Fr. Firko decided that the Eden School was an inappropriate place for the Easter celebrations, so parishioners worked till after midnight the Wednesday before Holy Thursday to make Holy Week happen in the partially completed new structure. Daily Mass began the Monday after Easter. The church was dedicated, and the rectory and hall were blessed, by Bishop Willging on the Feast of Christ the King, October 27, 1957, followed by a dinner. The sacrament of Confirmation was administered that same afternoon. The dedication had been delayed some 6 months while the community awaited the statuary and stations of the cross from Italy. The parish comprised of 400 families at the time of the dedication. An extended round of fundraising events and pledge drives paid for the building programs. A school was planned for Christ the King from the beginning, but Fr. Firko was clear that its construction depended on how well the parish was supported by its members. In fact the school was built in 1965. Fr. Firko engaged the Italian Filipini sisters, religion teachers who had arrived in the Diocese of Pueblo the year before, to teach in the school and live there. A bathtub in the maintenance closet is a relic of those days. The parish was the center of life for many of the families who shared in building Christ the King. The Altar and Rosary Society was established soon after the parish’s founding, and immediately took up the task of hosting parish dances, dinners and social events. The Christian Family Movement (CFM), the Confraternity of Christian Doctrine (CCD), Boy Scouts, Girl Scouts, Brownies and Cub Scouts followed soon after. By reputation, Fr. Firko was a sober man with a keen sense of what was proper and passion for good order. He passed out report cards every two months in the CCD (religious education) program. Infamously, he locked the doors of the church once Mass began so late comers could be limited and everyone would stay to the end of Mass. The fire department ended that extended episode. He was known to meet people at the rectory door in tee shirt with suspenders and to handle all business briskly. At the same time, many families in the parish loved him and all respected him. Fr. Firko’s tenure closed in 1967. He loved Christ the King and was disinclined to pass the baton. He went back home to New Jersey afterward, leaving large shoes to fill. He took the loyalty of some parish families with him. Bishop Charles Buswell appointed Monsignor Howard Delaney Pastor of Christ the King in 1967. After 28 happy years in Walsenburg, Msgr. Delaney inherited in Christ the King a parish somewhat fractured by the leaving of Fr. Firko, holding debt from the building of the school two years before and challenged by the early stages of implementing Vatican II. 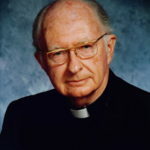 A renaissance man of considerable intellect (musician, organ builder, electronics and history buff, author, ham radio operator and avid reader), and an introvert with long experience of pastoring in the style of a one man show — he wrote the bulletin, counted the collection, did the books, kept the sacramental records — Msgr. Delaney found his initial years at Christ the King rocky. Born in Nebraska December 11, 1911, Howard Delaney detoured from a career in engineering to enter the seminary. 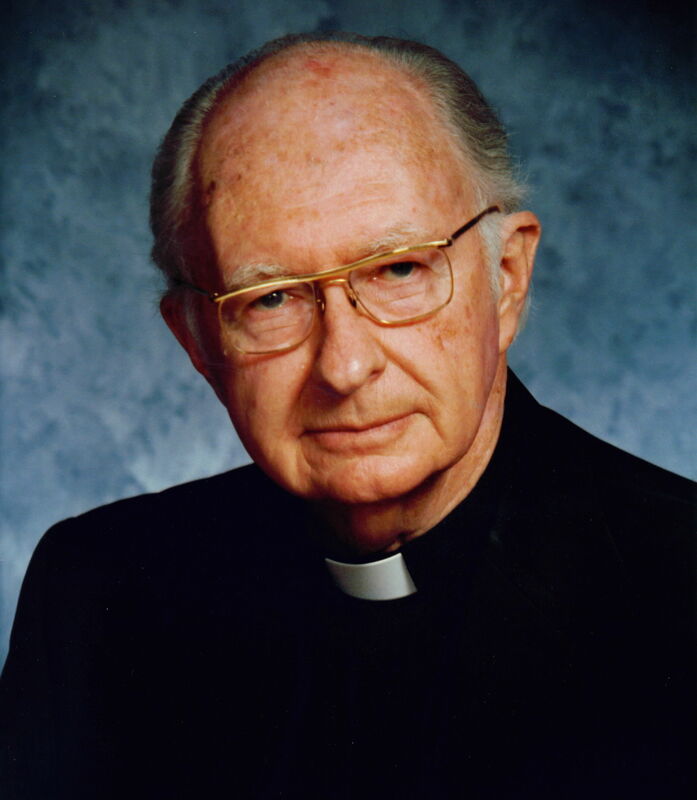 Ordained for the Diocese of Denver in 1940, he was sent to St. Mary of Sorrows, Walsenburg, as Associate Pastor. Stationed there when the Diocese of Pueblo was erected in 1941, he became a priest of the new Diocese immediately, and then was appointed Pastor of Walsenburg three years later. Msgr. 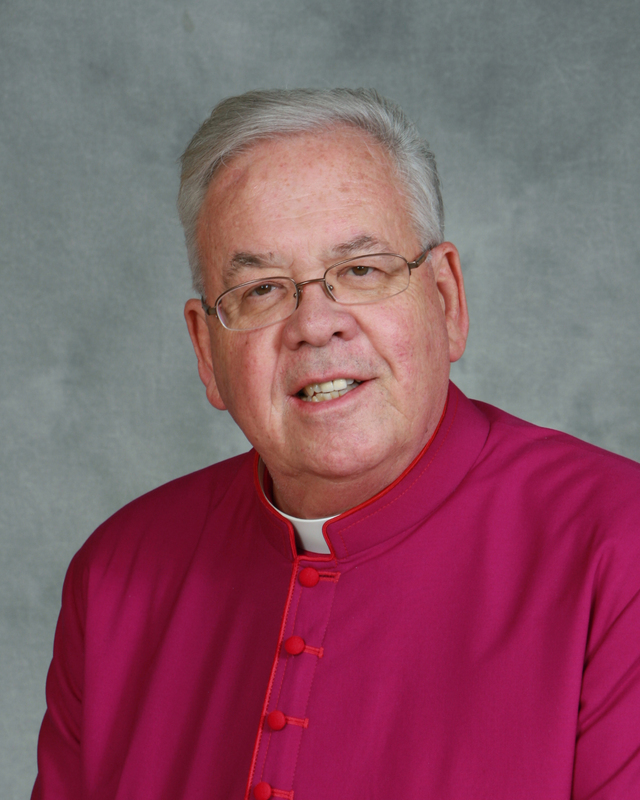 Delaney arrived at Christ the King in 1967 to assume his pastorate out of obedience to Bishop Buswell’s wishes. Remembering some finger wagging when he removed the altar rail shortly after arriving, Msgr. Delaney strove to usher in the Vatican II changes with grace despite some understandable parishioner opposition. A quiet man, his generosity, kindness and spirit of forgiveness won over the parish in time. In addition to the major work of implementing Vatican II, Msgr. Delaney retired the parish’s debt from building the school, oversaw the closing of the school at the Bishop’s instruction in 1971, and built a convent for sisters at 11 MacNaughton, retiring that debt as well. While he was at Christ the King, he took up flying, assisting Bishop Buswell in his ministry travelling around the Diocese of Pueblo. Msgr. Delaney retired from Christ the King December 31, 1976. 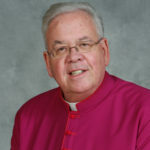 Afterward he remained active in the Diocese, assisting with the implementation of computer software to assist the Diocese in its ministry. He also remained close to Christ the King for the rest of his life. He regularly participated in Sunday Mass and substituted when the Pastor was absent. He spent most of his weekdays at the parish office assisting the Business Manager with computer data entry and bill payment. He participated in the Men’s Bible Study on Tuesday mornings. He led a summer adult program on Judaism. He purchased the hand bells for Christ the King Choir. When he died in 2014 at the age of 102, Msgr. Delaney left a significant sum of money to the parish in his will, designated for music. At Msgr. Delaney’s funeral, Bishop Steven Berg honored him as a priest’s priest. Opinionated and sometimes stubborn, Msgr. Delaney loved being a priest; he was always at the Bishop’s, the Diocese’s and the parish’s service with a sparkle in his eye and a gift for wry humor. 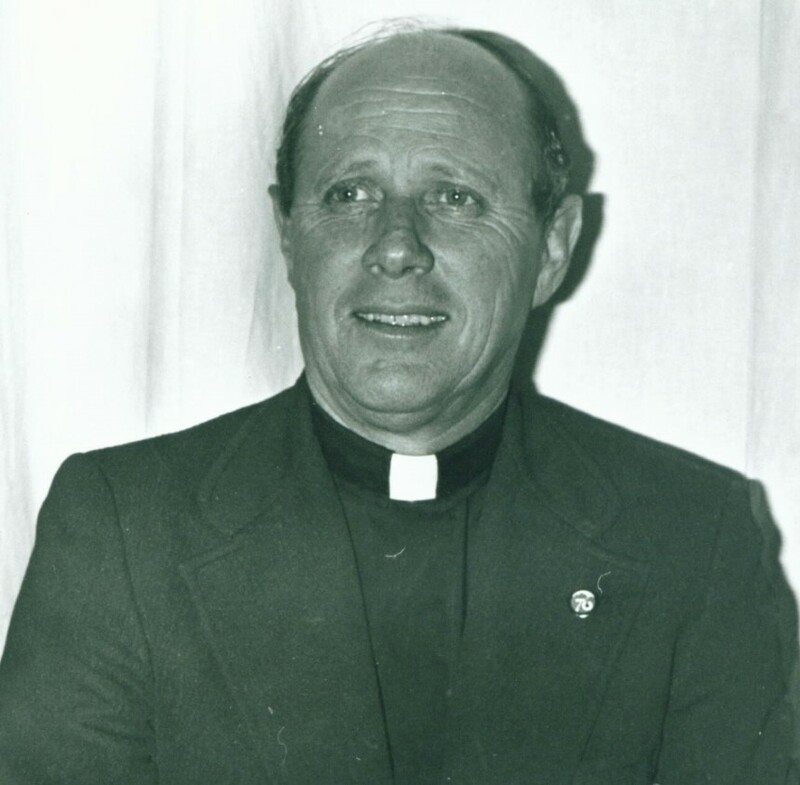 Father Delbert Blong became pastor of Christ the King in 1976. Born in 1926 in Iowa, he had 5 brothers and sisters. Father Blong was ordained in 1952 and served as a parochial vicar and pastor before coming to Christ the King. His last assignment before Christ the King was pastor at Sacred Heart, Alamosa. One year after becoming pastor, Father Blong engaged Sr. Joan Hentges, OSB, to join the staff of Christ the King. The Parish had 1000 people at the time, and Father Blong wanted a diversified staff so that everyone in the Parish received the ministry they needed. 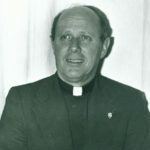 Father Blong developed and implemented a Pastoral Plan for the parish staff, invited Bishop Buswell to teach classes for lay ministers and oversaw the full implementation of the liturgical changes brought about by Vatican Council II. During his tenure the school, which had been rented out to District 60 Special Education, was reclaimed for Religious Education programs. The RE program at Christ the King in those years had so many children that a Thursday night class was added to the normal Sunday classes, and this twice weekly schedule continued for 3 years. Parishioners remember Father Blong as a good communicator with a strong pastoral sense, who strongly supported his staff and gave time and energy to the parish’s families. A fluent Spanish speaker, he welcomed the Hispanic community to Christ the King. One couple remembers him driving to Denver to offer spiritual comfort to their adult daughter who had been in a car accident and was hospitalized there. Father Blong was deeply involved in every aspect of parish life. One former staff member thought him so involved that she reports wondering when he slept. Father Blong was appointed pastor at St. Columba, Durango, in 1985. He died in 1999 at the age of 73. When Father Gleeson arrived at Christ the King, he felt blessed to be assigned there. He succeeded Father Delbert Blong and his Parochial Vicar, Father Michael McCleary, who had been like a son to everyone in the parish. Soon after his arrival, he asked Bishop Tafoya if he might invite Father Nathaniel Foshage, OSB, to assist him in the parish. Father Gleeson had been in school with him; Father Nathaniel went to the Benedictines and Father Gleeson to Pueblo. Father Nathaniel served with Fr. Gleeson throughout his tenure. 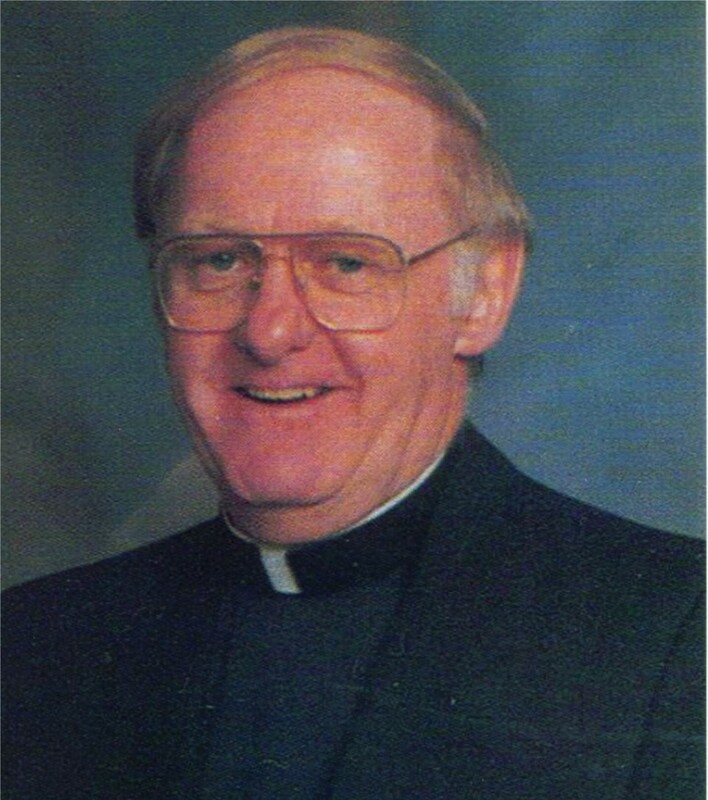 Father Gleeson emphasized pastoral care during his tenure. In his own words, he was like Mary Poppins. Each day he opened his umbrella, and it took him where he needed to go. Fr. Gleeson loved the rectory. The main entry was on the far west, and the courtyard area was private. The rectory had room for three priests and a housekeeper. Line dancing on Fridays at 5:30. Fr. Nathaniel doing the Holy Spirit stained glass windows high over the sanctuary. Msgr. Delaney’s helping Judy Martinez with the computer system. A staff of 5: liturgist/musician, secretary, housekeeper, religious educator and youth minister. The cash flow was adequate for meeting the parish’s needs during his years. Some folks wouldn’t give to the then-BDF because of the closing of the schools. The tough times were large funerals and family tragedies. Retired Bishop Buswell lived in the parish and came frequently to daily Mass, and sometimes on Sunday. He lived close to the people and enjoyed his time very much. He still feels close to the people of Christ the King. He recalls hearing that Msgr. Delaney had a difficult time at first, and was only too ready to leave the assignment at retirement time. For example, people sent their donations to Fr. Firko in New Jersey after he left rather than give them to CTK. Money remained tight throughout his tenure. Fr. Bill passed away unexpectedly on February 7, 2018. We will truly miss him. Monsignor Adrians was our Pastor here at Christ the King from 1995-2014. 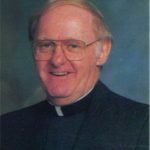 He was born June 10, 1940 in Appleton, WI and was ordained in 1967 at Holy Cross Abbey in Canon City, CO.
Father Tom Adrians arrived at Christ the King in 1995. Happy to be appointed to the parish he found the parishioners to be friendly and a good base to call upon for help. Father Tom felt blessed to have a highly educated and effective staff through his years at Christ the King. The Parish also had many volunteers who served on social, church decorating and other committees. Father Tom enjoyed the frequent parish social events and was widely appreciated for his teaching while Pastor at Christ the King. He implemented pastoral planning for improving the parish’s physical plant and adult education, and focused much work on keeping the parish financially solvent. During his tenure Father Tom oversaw the updating of the kitchen in the church hall, erecting a wall between the church and parish hall to create a sacristy, and enlarging the sanctuary. Vision 2005 added the narthex onto the church to create space for fellowship and hospitality before and after Mass. 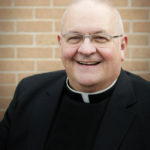 In November 2007 Monsignor Tom named the new addition to the Formation Center “Sr. Joan’s Room” in honor of Sr. Joan Hentges who celebrated thirty years of ministry at Christ the King. 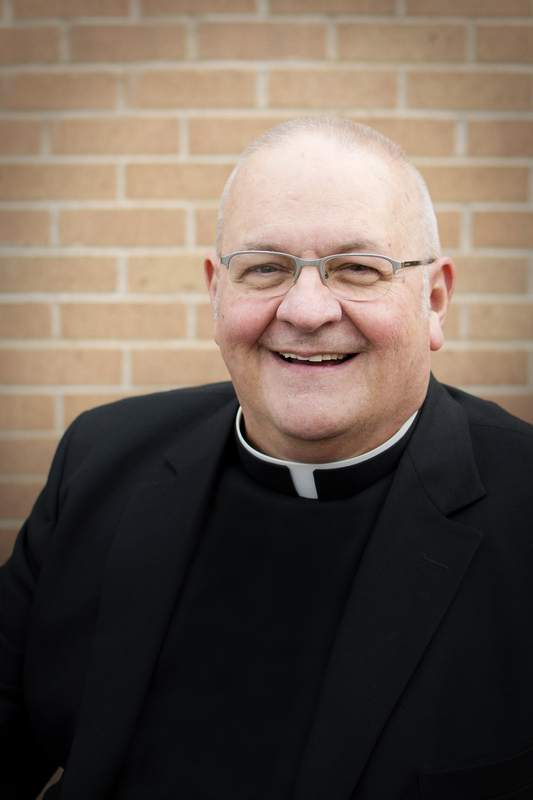 At the same time he was Pastor, Father Tom served as Director for Continuing Education of Clergy for the Diocese of Pueblo, Vicar General to Bishop Tafoya and Vicar for Clergy under Bishop Fernando Isern. In 2007 he was named a Prelate of Honor by Pope Benedict XVI with the title Reverend Monsignor. Monsignor Tom retired from Christ the King in 2014. He treasured the nineteen years as our pastor and was grateful for the many friends he made. He was very proud of the improvements that were possible during his tenure. Our parish hall, now Adrians Hall, was named for him when he retired in 2014. During his retirement he assisted the Diocese with Prison Ministry and as a staff member. He celebrated Mass with the Primrose Community where he lived for some time. He celebrated 50 years as a priest in 2017. Monsignor Tom passed away on September 15, 2018. He is buried at Roselawn Cemetery in the “priests” section. We will all miss him dearly. Father Michael L. Papesh came to Christ the King as Pastor September 1, 2014. 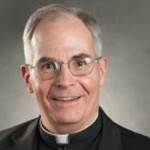 Born in Joliet, Illinois in 1950 and ordained a priest for the Archdiocese of St. Paul and Minneapolis in 1983, Father Mike became a priest of the Diocese of Pueblo in 2011. 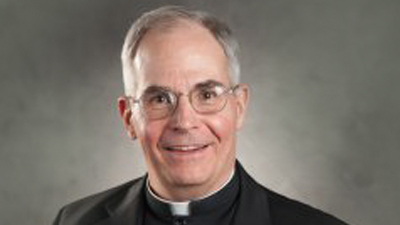 Prior to coming to Christ the King he served as parochial vicar at one parish, pastor of two parishes with schools, Seminary Spiritual Director, Campus Minister, university administrator and, at the diocesan level, Director for Lifelong-Catechesis, Vicar for Administration and Moderator of the Curia. Father Papesh retired on January 8, 2017. Fr. John Ozella became our seventh Pastor on January 9, 2017. He will be celebrating his tenth anniversary as a priest this coming May. He was installed by Bishop Stephen Berg at the 10:45am Mass on March 26th, 2017. Fr. John was born and went to high school in Breese, Illinois. You take the county road 5 miles south and you’ll come to St. Rose, Illinois, where he grew up. Population then: 150. Largest town in the county: 2000. Rural dairy farm country. His dad was a Budget Officer at Scott Air Force Base, but his real passion was for his trumpet. He met his mom one night when she substituted for the piano player in his dad’s jazz band. She was also the organist for 2 parishes. So his sister and him grew up to the sound of music. His sister is an O.R. Nurse, with two adult children. After high school, he lived in Minnesota for 10 years, including college at St. John’s University, and 3 years with the Benedictines. He studied in Israel for a semester, so he can visualize the setting for almost every Bible reading. This has really enriched his understanding of scripture. Fr. John received a law degree from St. Louis University and practiced law for 8 years, primarily real estate, probate and family law. He also spent 15 stimulating years in Northern and Southern California, working in human resources management and consulting. Besides God loving him, orthopedic surgeons love him: He has had 9 surgeries on his leg, hip and shoulders. After ordination, he spent 3 years as the Director of Liturgy for this Diocese, and was also the Administrator of St. Anne’s Parish. He also spent his first year here, as Msgr. Tom Adrians liked to tease him, as his “very, very, very, very part-time parochial vicar.” That means he celebrated Mass here once a week. After 3 years of priesthood, he was assigned to St. Pius X Parish in Pueblo, where he enjoyed 6 and a half wonderful years. And now, here he is.